Designed for final polishing applications to achieve a mirror finish. 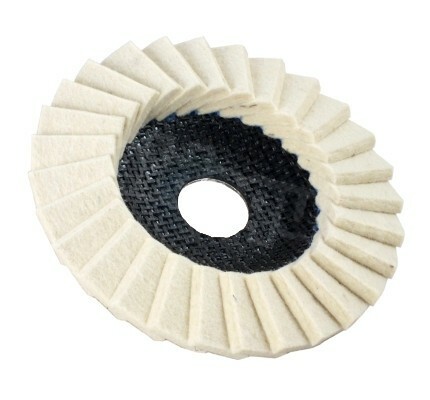 Felt Polishing Flap Discs should be used in conjunction with a polishing compound for maximising efficiency when pre-polishing and high-gloss polishing medium to large surface areas. Best results on variable speed angle grinders at reduced speeds of around 4,500 rpm.